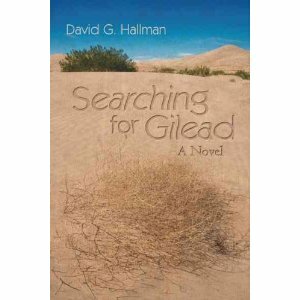 Hallman, David G. “Searching For Gilead: A Novel”, iUniverse, 2011. I first became acquainted with David Hallman through his beautiful memoir, “August Farewell” about the loss of his partner to cancer. He wrote such a beautiful book and I was totally moved by it so when his first novel, “Searching for Gilead” came out, I was anxious to read it. The novel is also quite an emotional read as it presents the themes of “love, laughter and loss”. We meet two families—the Comptons and the Fischers and we are with them for some thirty plus years. What that the families have in common is that each has a son that is in love with the son of the other family—Jonathan and Tom. As the boys love, they unite their families and the relationships become quite intriguing. On the surface level we read about the families but beneath that, we meet some very complex and important issues—religion, injustice, love, the environment, the arts and death but above all else is the theme of understanding. Hallman is a superb writer and he has a wonderful story to tell. Put those two ideas together and we get a book that is hard to put down. We are brought into the lives of the characters and we travel around the world with them. We share their joy and we feel their pain and we laugh and cry together. I have always felt that it is easy to write tragedy—after all, we see it everywhere. Comedy is much more difficult because we all do not laugh at the same things. Trying to bring tragedy and comedy together is perhaps the most difficult but Hallman succeeds here beautifully. His tragedy is of the kind that through it we learn to love and love is not instinctive. It must be learned and cultivated or it becomes worthless. The comedy is subtle and also helps to relieve tension. When Jonathan and Tom fall in love, they go and introduce their partners to their respective families and then begin to travel the world and experience adventure after adventure and we are with them the entire time. This is one of those books in which the reader becomes a character because he is so drawn into the story. We do not just read; we take part. Because of this, the characters are with you even when you are not reading. We take on the emotions of the characters and when they smile, we smile and when they are hurt so are we. Even more interesting is that we also connect to the other characters in much the same way. We empathize with everyone and while this can be unsettling at times, it becomes very rewarding. One of the things that I have discovered about literature is that when I am engrossed in a story, I begin to live it and when I take on the emotions of the characters that I read about, I find that I become a better person. Whatever is going on in my mind is obscured by what is happening with my new literary friends and I love that but it just does not happen enough. There is one very important point here—even though the author and the main characters are gay, this is not a gay novel. It is a look at human condition as seen through the eyes of the gay characters. The fact that they are gay is not important—what is important is that they love each other. Theirs is a relationship that has lasted for some 33 years and while some may see that as the core of the novel, I think that the lives of all of the characters are just as important. I do remember that after I closed the covers of the book, I was numb. I had been on an emotional roller coaster and it was going take a while to calm down. The book is very conveniently divided into five sections which cover the 33 year long relationship but it, as I said, it was not just Jonathan and Tom that we read about and each character has his part to play. I have read the book from cover to cover in a single reading and that was because I could not stop reading. I kept wanted to know more and to find relief from the emotional devastation that I felt. The language of the book is gorgeous and the author has written a beautiful novel. Combining personal emotion, beautiful prose, a look at the world and a philosophical discussion on the human condition make this a book that must be read. This entry was posted in GLBT fiction on July 3, 2012 by Amos.